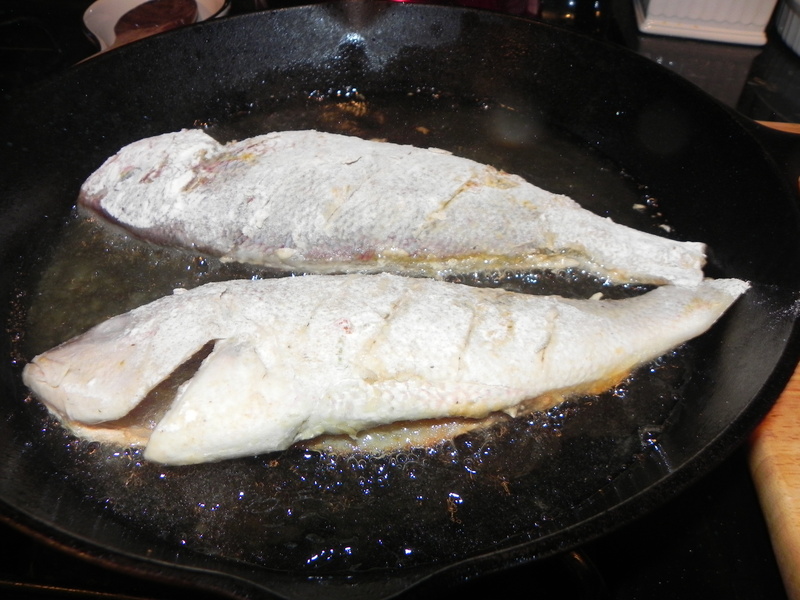 Starting out with a scaled and gutted fish, cut horizontal slits into both sides of the fish. 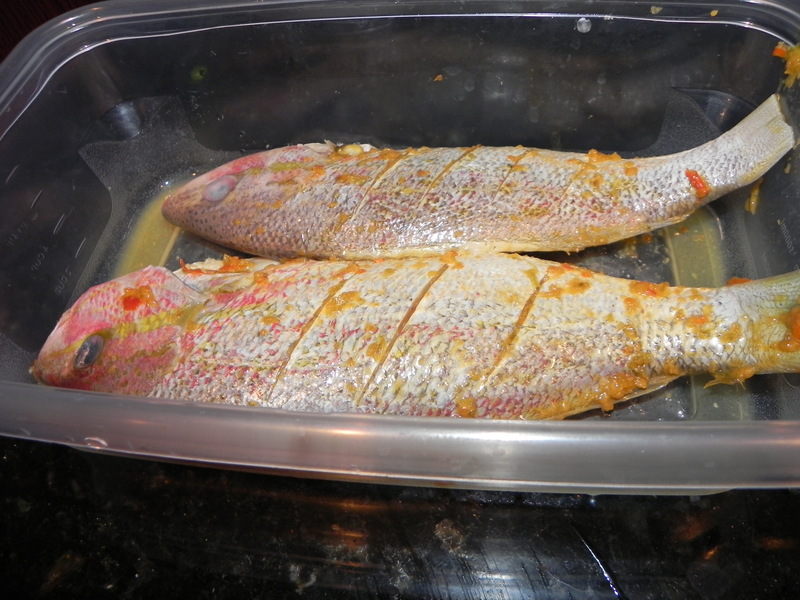 Clean fish with lime and salt. Bring oil and Vinegar to a boil. 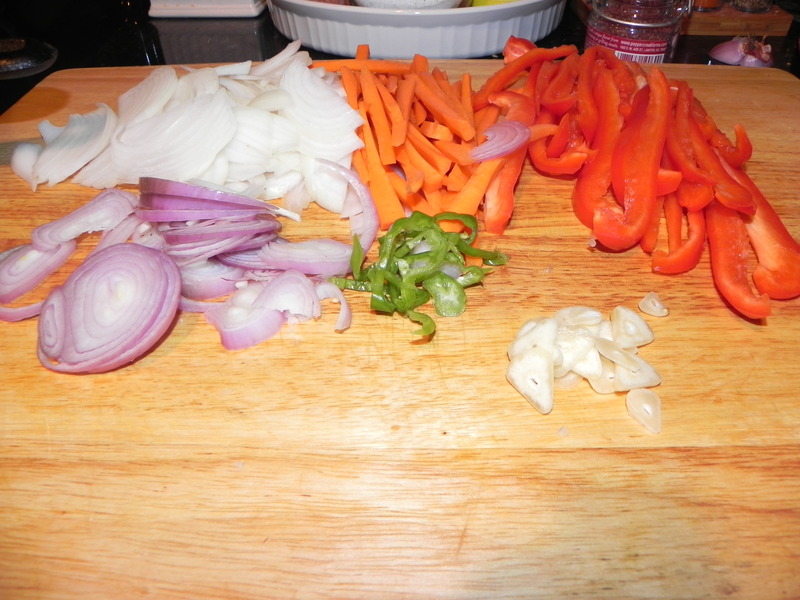 Add vegetables, salt and pepper/adobo, allspice berries, sugar, to the mixture. Cook until onion are clear. 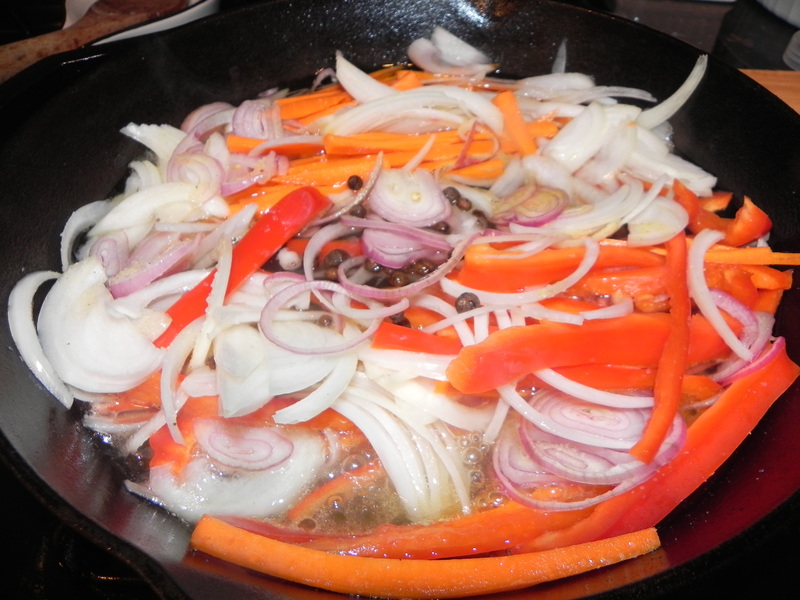 Pour the sauce over the fish, or you can place the fish in the pot with the vegetables. Cook on low for 10 minutes. 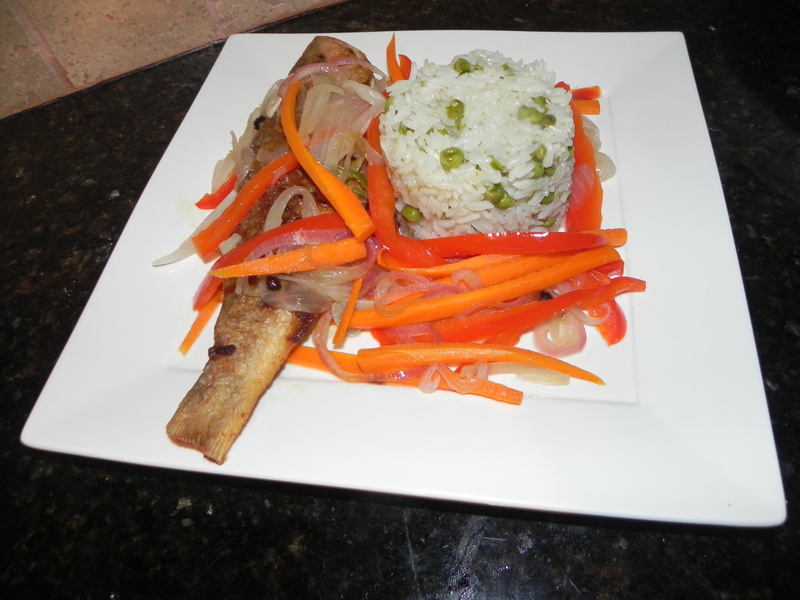 The longer the fish remains in the mixture the better it tastes! 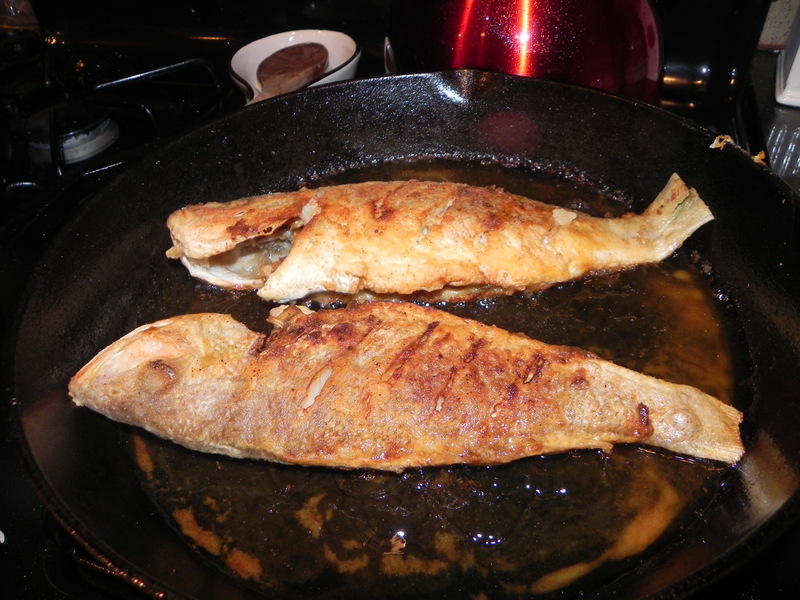 That fish looks lovely – but you never mention what type of fish to use in the recipe. The picture appears to be red snapper (maybe? )…but what other types of fish can be used? It’s the first ingredient listed. “2 red or yellow snapper”. Any flaky fish would do but I love the delicate taste of the snapper best.